East Devon Tree Care Ltd provide Tree Surgeon services in Buckerell. 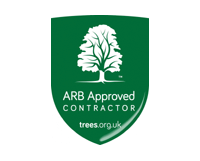 We offer high quality, competitively priced tree surgery work and tree consultancy services. Please see our services page for more on the services we provide and contact us for more information about the services we provide in and around Buckerell. Please click here to read testimonials and reviews from customers in Buckerell for whom we have previously carried out works.